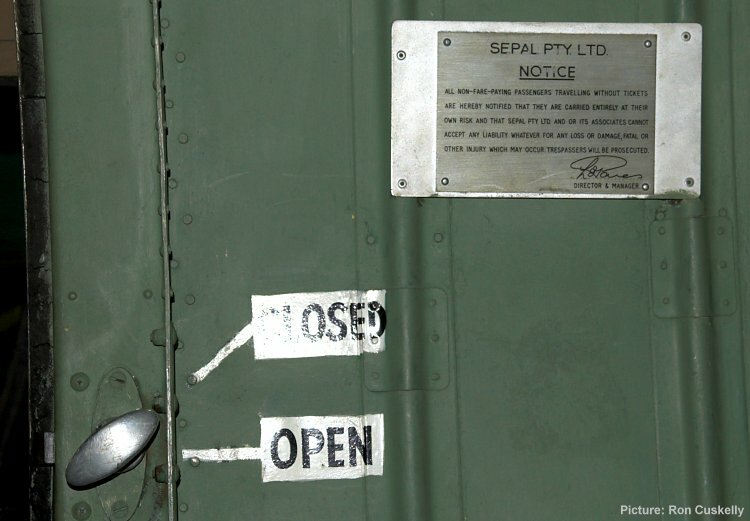 The cabin door of Hudson VH-AGJ still bears this stainless steel placard from its time with Adastra. 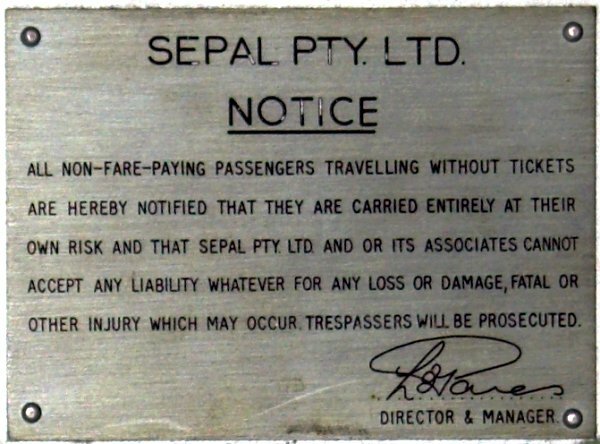 SEPAL was an Adastra associate company which was used for various administrative purposes such as registration of aircraft and employment of aircrew. The signature is that of Lou Pares.